MTA recently introduced an innovative battery terminal for light vehicles. The product developed by MTA is a blank terminal for the positive and negative poles, with vertical tightening that, for the first time ever, is distinguished by a proprietary technology developed to achieve the Go/No go effect. 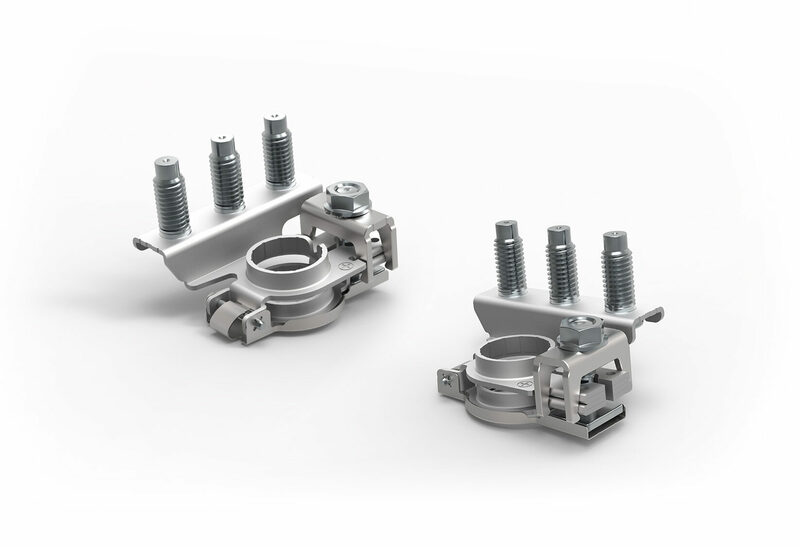 This manufacturing technology ensures correct positioning during assembly by inhibiting the tightening when the terminal has not reached the final position and is therefore not in contact with the battery surface, thereby making the lock nut turn idle. This new battery terminal showed its excellent performance in both mechanical and electrical tests developed in MTA’s laboratories, thus suggesting that this can be the forerunner of a new generation of blank terminals with vertical tightening. This new product is part of MTA’s extensive range of battery terminals made with stamped, strip type or double ring technology, with studs or crimping version, screw type or quick locking. To this range also belongs the recently launched battery terminal with integrated sensor that can measure the current, voltage and temperature of the battery and constantly monitor its state of charge. MTA annually produces about 10 million pieces of battery terminals, destined for several OEMs in different sectors, thus confirming its reputation in mechanical know-how. Battery terminals are one of the products that better identify the company's electromechanical production, that can benefit of a research and development that are continually evolving to meet the renewed demands of manufacturers. Press Release – Go/No-go Battery Terminal (2.43 MB).